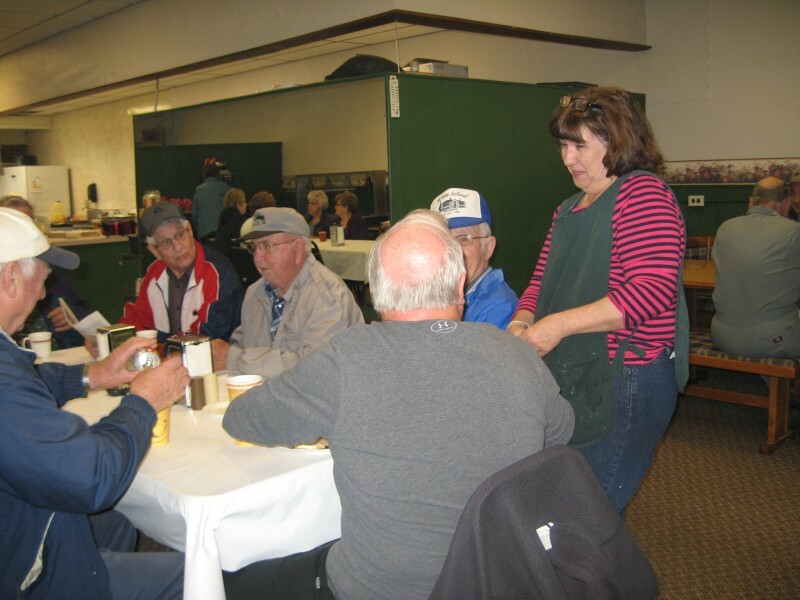 Anamoose Café owner, Connie Rudnick, serving breakfast. What do you see when you walk into or drive by Anamoose? “If you are like many of us, you see a place that offers you goods and services, a place you can go to and get what you want,” says Glenn Muske, the North Dakota State University Extension Service’s rural and agribusiness enterprise development specialist. Even though we don’t have a large number of businesses you may see the economics surrounding the businesses. Small businesses mean contributions to the local economy and jobs. In many rural areas, new businesses may mean an empty space in a struggling downtown is filled. Yet they mean so much more. They often form the cornerstone of local communities. What this means is that small businesses are many times the first in line to support local projects. Not only do they donate money, but the business owners contribute time by working at special events or fundraisers. The owners aren’t the only ones, however. Their employees get involved in these local activities as well. In practically al of the small communities in North Dakota, small-business owners and their employees also help with the emergency response teams: fire, ambulance, and disaster response. Small-business owners recognize the community is their home and don’t hesitate to step up with support. May 4-8 is Small Business Week in the U.S. this year. Take the time to stop by your local businesses and say “thanks” for all they do.